Ultimate Breeders’ Cup Betting Guide. 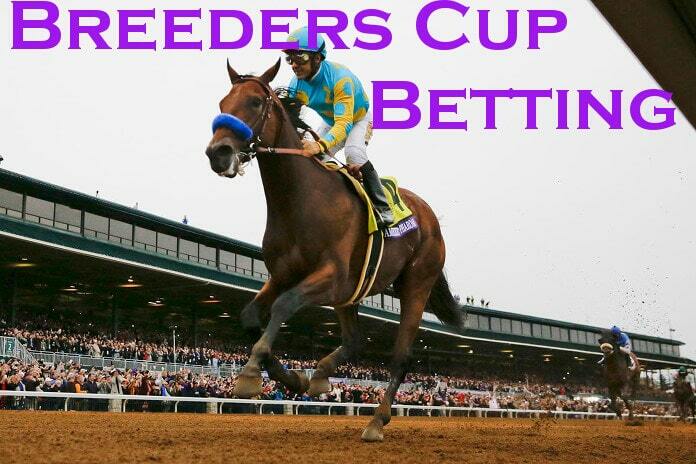 Learn how to bet on the Breeders’ Cup. Here are some simple bets anyone can learn. Read on. Date & Time: Friday-Saturday, Nov. 2-3, 2018. All Post Times PM ET. The Breeders’ Cup Classic is on the last Saturday in October or first Saturday in November. Profit from these Breeders’ Cup bets. Pick both the Breeders’ Cup Distaff and Breeders’ Cup Classic winners. Make your picks before the Distaff begins. Post time time is pending PM the Friday before the Breeders’ Cup Classic. The 1 1/8 mile Distaff is for 3 year old fillies and mares. Each horse must qualify during the Distaff Prep Race period between January and October. Racebooks determine Distaff-Classic payouts from a horse’s odds of winning its respective event. Review the Distaff-Classic will-pays after the Distaff has concluded. Payouts include the Distaff winner paired with each Classic horse. Odds may change up until Breeders’ Cup Classic post time. Review each horse’s most recent race results. Also review Prep Race results. The Breeders’ Cup Distaff and Breeders’ Cup Classic prep races begin in January each year. 2. Breeders Cup’ Win-Place-Show Bet. Also called “Across the Board”. Ask your track teller for $2 “Across the Board”. Or select this wager from your online racebook. This bet maximizes profit while including multiple likely winners. Each key should have 4 or less horses. Select horses most likely to finish in the top 3. Also include 1-2 less probable horses. Occasionally a longshot will finish third. Note: Trifecta wheel costs will vary depending on number of unique horses. Using the same horse in multiple keys decreases cost. Adding new horses to each key increases cost. The 10+ Breeders’ Cup Classic field makes picking a winner difficult. Bettors must carefully manage risk. Play multiple horses at once with the Quinella Box Bet. Pick 3 or more horses to finish in the first or second position. Final order doesn’t matter. Your bet wins if 2 of your selections finish first and second. Quinella Box bets cost $2 per combination. The following table lists costs per number of horses boxed. Keep Quinella Boxes to 6 horses or less. Large quinella boxes are both expensive and inefficient. Consider using an Exacta Wheel bet for 6 or more horses. Key small sets of horses into each finishing position. Your horse doesn’t have to win to turn a profit. The show bet rewards bettors for making a “good-enough” prediction. It manages risk like the Quinella Box. But it costs less and pays out more. Consider placing Show bets on multiple horses. Large Breeders’ Cup events are notoriously unpredictable. Don’t hang your hat on one selection. Diversify your bets. You’ll increase the likelihood of profiting. Deposit early Breeders’ Cup week. Consider using Bitcoin or other cryptocurrencies. You’ll avoid last minute credit card processing glitches. Monitor Breeders’ Cup odds carefully. Visit your online race book’s odds page regularly. Odds will change up until post time. Shop Breeders’ Cup betting odds at multiple sportsbooks. The Breeders’ Cup was the brainchild of prominient owner and breeder John Gaines. He first suggested the idea at the 1982 Kentucky Derby Festival awards luncheon. The goal was to create a championship event to conclude each racing season. Only the finest thoroughbreds would compete. Fellow owners, breeders and trainers were initially opposed to Gaines’ idea. Persuasion from Hall of Fame trainer John Nerud eventually changed their minds. The Breeders’ Cup would help clean up the tarnished image of horse racing. Highlighting the best horses and trainers annually would also increase the sport’s prestige and notoriety. 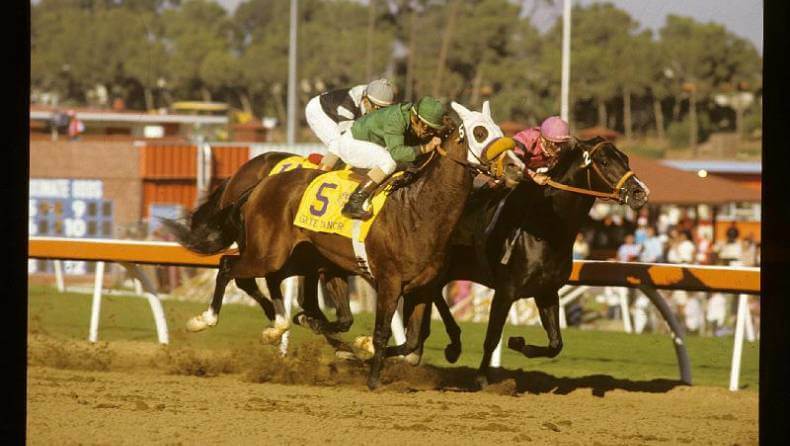 The first Breeders’ Cup was held on November 10, 1984 at Hollywood Park Racetrack. Wild Again won the first Breeders’ Cup Classic in 2:03.40 over 1 1/4 miles. The Breeders’ Cup continued as a one-day event through 2006. In 2007, then CEO Greg Avioli proposed expanding the event to 2 days. Day 1 would showcase female horses. Day 2 would be for males; culminating with the Breeders’ Cup Classic race. By 2009, the Breeders’ Cup became a worldwide event witnessed in some 140 countries. A simulcasting agreement with Betfair brought in an addition 2.5 million customers eligible to wager on the event. Horses from around the world were allowed to participate. A “Win and You’re In” policy granted automatic entry to horses winning major races in North America, England, Ireland, France, Hong Kong, Japan, South Africa and Australia. Since 2010, the Breeders’ Cup has become a bi-coastal event. Churchill Downs or Santa Anita Park have been the most common locations. Recent exceptions include Keeneland in 2015 and Del Mar in 2017. Santa Anita has hosted the Breeders’ Cup a record 9 times. Triple Crown winners running the Breeders’ Cup Classic are now eligibile to win thoroughbred racing’s Grand Slam. American Pharoah was the first to earn this title in 2015. Note that American Pharoah was also the first Triple Crown winner since the event’s 1984 inception. Breeders’ Cup betting is widely available at most online sportsbooks, teletheaters and other simulcasting services.